Barbie is big-time stepping up her game. In a new partnership with She Should Run (an organization that wants to supports and encourages seeing more women in political office), you can now have a Barbie POTUS. And, while that’s pretty exciting in and unto itself (though was first introduced in 2012), there’s a couple extra elements in this news that make it totally rad. First of all, Barbie got a total makeover. She’s much more business-casual (and a lot less pink). Plus, she’s totally customizable. There are a whole variety of skin and hair color tones you can change up on your Barbie to ensure she looks however you imagine you want your Mrs. President Barbie to look. Best yet, there are a whole variety of skin and hair color tones you can change up on your Barbie to ensure she looks however you imagine you want your Mrs. President Barbie to look. Oh, and she comes with a female running mate. 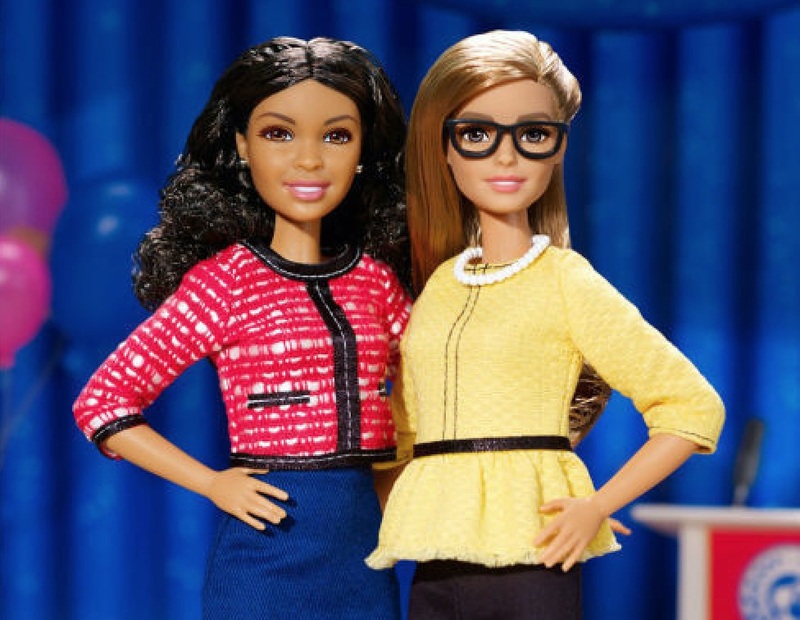 Which makes these dolls the first all-female ticket for President and Vice President in the history of Barbie (and also the United States of America). They come two in a box ensuring that if you want one, you get the other (just like in a real election). There’s all sorts of amazing material that girls can download to play along with their powerful Barbies at home, making every element of this whole announcement really inspirational and empowering. As of now, it seems like you can only order this dynamic duo online. And there are all sorts of spectacular supplemental videos you can enjoy while you wait for your girl-power POTUS and VPOTUS to show up and make history.